Second Division Clerk:- 125 posts. MCA or B.E. in Computer Science or M.Sc. in Computer Science with above 50% marks. Graduate with minimum of 50% marks and above (aggregate of 3 years) OR Post Graduate with minimum of 45% marks and above in any Degree (aggregate of 3 years). Diploma in Computer Application or any other course in Computer with minimum of 6 months course. The persons having Degree with Computer subject are exempted from this condition. Note:- Preference will be given to the persons having B.Com., BBM, BCA degree. 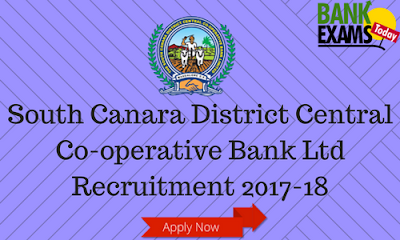 Preference will also be given for the persons having additional qualifications, work experience in DCC Banks or Urban Coop. Banks, Primary Agricultural Credit Coop. Societies and Experts in computer. Candidates must have fluency in Kannada and English to read, write and speak. Must have experience in preparation of Computer programme in Visual Basic and Dot Net.